This April, Millsaps Track and Field Team is planning to host the first annual Stargazer Classic on its new track. If construction stays on schedule, the track and field team will be able to not only train but also compete on its unique new facility by March 19. 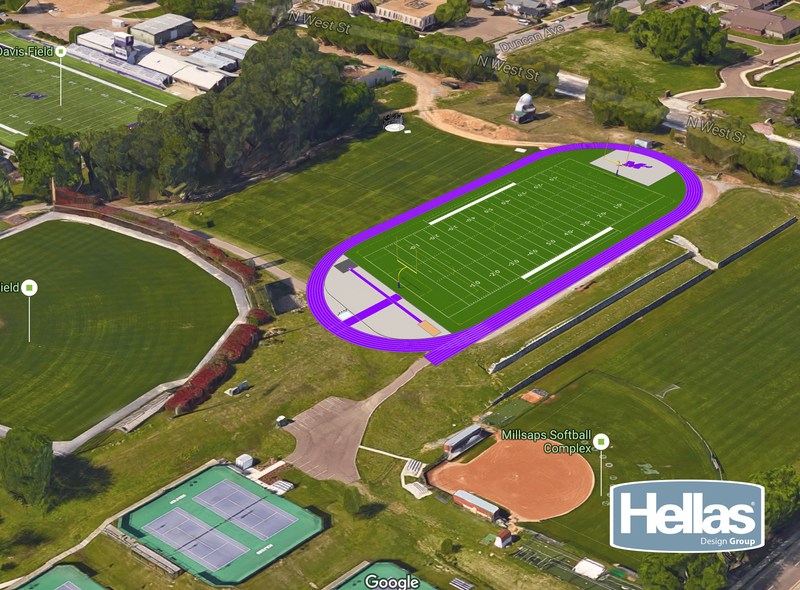 The six-lane track will be built on the upper field, and it will include areas for two javelin throws, two long jumps-triple jumps and (of course) it will be Millsaps purple. For the past three years, the track and field team has been driving to St. Andrews, Jackson Academy and Pearl High School to practice. “We’re not able to do any specialty work during the day if we needed to. We’re basically trying to cram everything in driving to practice,” head track and field coach Andy Till said. Since the team races (no pun intended) to and from campus, they have very little time for team building. Most of the other teams in the Southern Athletic Association have tracks, so it puts Millsaps’ track and field team at a disadvantage. “It’s hard to be recognized as a team when you don’t have a facility,” senior Gabby Rincon said. The team currently has 30 athletes, but Till and assistant coach Torrey Hollis are hoping to build their roster over the next couple of years. Eventually, Till hopes to build up to 70 athletes total in order to place at conference. Having a track will help attract more track & field athletes to Millsaps. “We hope that by building this track we will now have the resources to recruit the athletes who want to come in and get education and win a championship,” Till said. The upper field cannot only fit a track, but it’s also the highest point in Jackson and home to Millsaps’ historic James Observatory. Till and Dr. Shadow Robinson, a physics and astronomy professor, are planning to collaborate during Millsaps’ first home meet. Spectators will be invited to gaze at the stars and possibly tour the observatory. “The new track will be a spot where we can all practice together on-campus,” team captain Clayton Killebrew said. The new track will also give the entire Millsaps community a car-free space to run. “I’m really looking forward to have a place to run outside and not have to worry about cars,” senior Vanessa El Shamy said. The new track will bring the Millsaps community together for both athletics and learning.